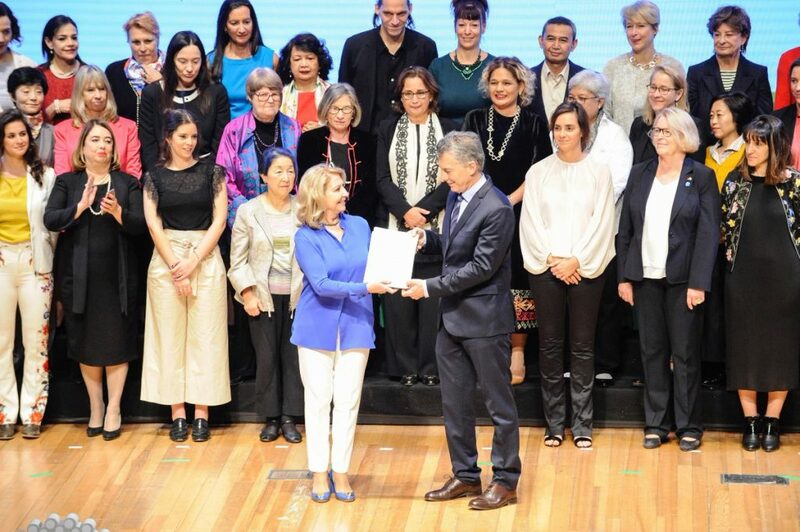 The fourth Women 20 (W20) Summit, one of the seven G20 engagement groups, took place on 1, 2 and 3 October 2018 in Buenos Aires. 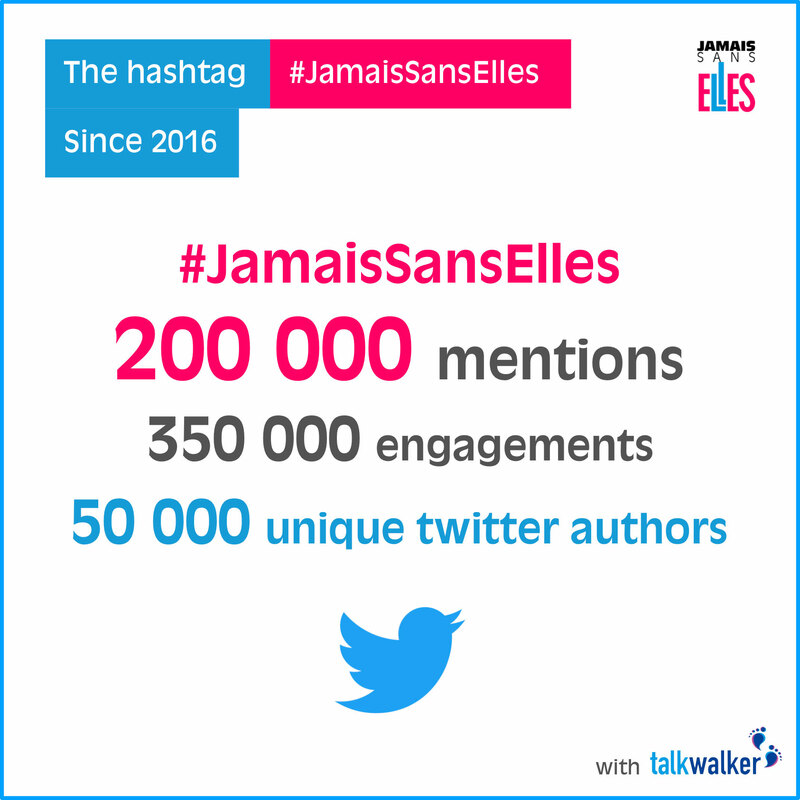 #JamaisSansElles participated in all the preliminary work of the International Delegates and in the drafting of the final communiqué, as Head of Delegation for France. This communiqué is the result of joint consideration bringing together the diverse skills and expertise of women’s civil society organizations and women entrepreneurs. 65 delegates from around the world came together and more than 800 women participated in the event. Here is the Final Communiqué, written by the heads of delegation of the 20 countries, which was handed to the Argentine President for the 2018 G20 Summit in Buenos Aires. We, the representatives of the Women20 (W20) 2018 network, strongly believe that gender equality is a key driver of sustainable and inclusive growth. This view is at the core of the G20 Argentina 2018 agenda and is in line with Sustainable Development Goal 5, which aims to “achieve gender equality and empower all women and girls”. Building on the strong foundation established during previous W20 consultations, the W20 identifies the main challenges to be addressed and which are strategic for the G20. 1. Accelerating the pace of implementation of the 2014 Brisbane commitment to reduce the gender gap in labour force participation by 25 percent by 2025 by developing and funding National Plans and reporting the progress on an annual basis. 2. Investing public funds to ensure affordable, quality and professionalized universal care services for people with dependents, including those in the informal sector. 3. Implementing policies for mandatory paid parental leave schemes by 2025 that include non-transferable entitlements for a second caregiver to promote shared responsibility of care work and a better work-life balance. 4. Eliminating all forms of discrimination against women, particularly in laws and regulations on access to and control of land, assets and resources and promoting mechanisms to guarantee equal pay for work of equal value. 5. Strengthening and enforcing regulations, ensuring equal access to justice, as well as supporting inter­national processes leading to setting standards on “ending violence and harassment in the world of work” in order to protect women from all forms of violence, including online violence. 6. Analyzing the Future of Work from a gender perspective and design policies to ensure equitable impact. Major trends such as the gig economy, automation and machine learning should be addressed in terms of their gender-specific impact, focusing on the social protection and labor rights of women workers. 7. Ensuring equal access to credit, financial services, equity and markets for women, and designing initiatives to improve women’s financial and legal literacy and entrepreneurial capacity. 8. Enhancing transparency and supporting measures for public procurement contracts awarded to women-owned and women-led businesses and increasing their share by a minimum of 10 percent taking into consideration the situation of each G20 country1. 9. Using and promoting alternative forms of credit scoring, including alternative data to evaluate MSMEs credit worthiness in order to increase women’s access to financial services. 1. By a minimum of 10% increase is an improvement for each country according to its own baseline. 10. Developing holistic and cross-sectoral policies that abolish the barriers to women’s access and use of digital technologies and the internet, especially in rural and remote areas. Improve access, affordability, safety and security of digital services, broadband and connectivity plans, and the availability of relevant content and services, while taking into consideration women in all their diversity. 11. Guaranteeing inclusive educational programs through the promotion and investment in initiatives that boost equal participation of women and girls in STEAM studies (Science, Technology, Engineering, Arts and Mathematics) and support women’s digital rights and citizenship. Training programs should promote women’s life-long learning, and provide frequent updating of digital skills to increase opportunities for both employment and entrepreneurship. G20 countries must also foster the equitable participation of women in the development and governance of STEAM-related industries. 12. Ensuring women’s participation in the development and modification of algorithms in artificial intelligence in order to avoid gender bias. 13. Securing women’s access to comprehensive and gender responsive social services, including education, health and legal services in rural areas. 14. Investing in infrastructure for rural development and ensuring the participation of women in all stages of the process, taking into account their specific needs and work opportunities. Infrastructure projects should also incorporate gender violence protocols. 15. Allocating or increasing funds for women living in rural areas to strengthen their cooperatives, entrepre­neurships, organizations and value chains, promoting access to credit and training, enabling women’s economic participation and inclusion in decision making and governance. 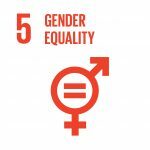 To ensure sustainable development, it is imperative to adopt a comprehensive human rights perspective on gender equality and to develop evidence-based policies that recognize and address structural differences. In this regard, G20 should support gender budgeting and together with international partner organizations and relevant national partners develop statistical systems based on indicators that are gender disaggregated and consider women in all their diversity. 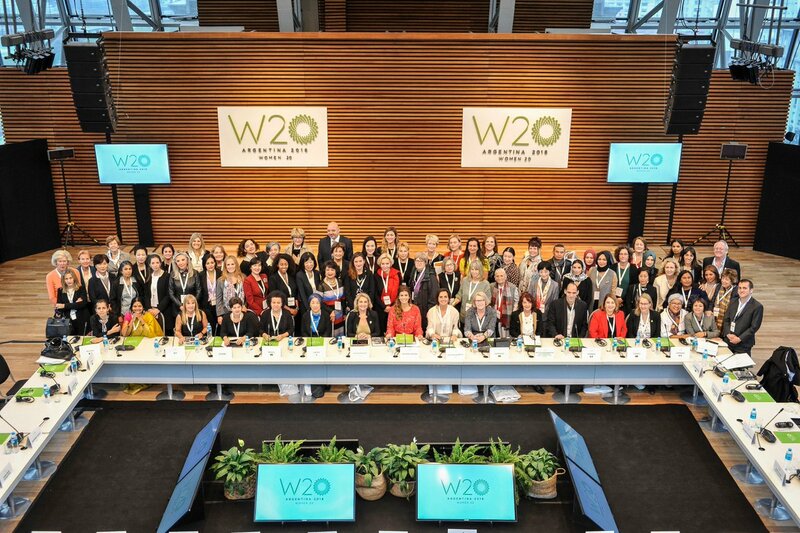 To ensure continuity and efficiency of the W20, we urge G20’s Presidencies to engage with the W20 network by ensuring access to the G20 negotiation tracks and continue to mainstream gender in all their engagement groups. Recognizing that G20 leadership is paramount in realizing gender equality, the W20 urges the G20 to act on these recommendations by developing implementation plans with timelines and targets, facilitating the participation and cooperation of women’s organizations, measuring and monitoring progress and reporting publicly on outcomes. 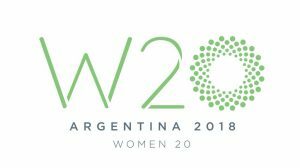 Women 20 (W20) is an official G20 engagement group made up of a transnational network of women’s organizations, female entrepreneurs associations and think tanks. Its main goal is to influence decision makers of the G20 countries to invest in the economic development of women in the search for a more inclusive development. The W20 was founded in 2015 during the Turkish presidency of the G20 and was later replicated in China and Germany. This will be its fourth edition.